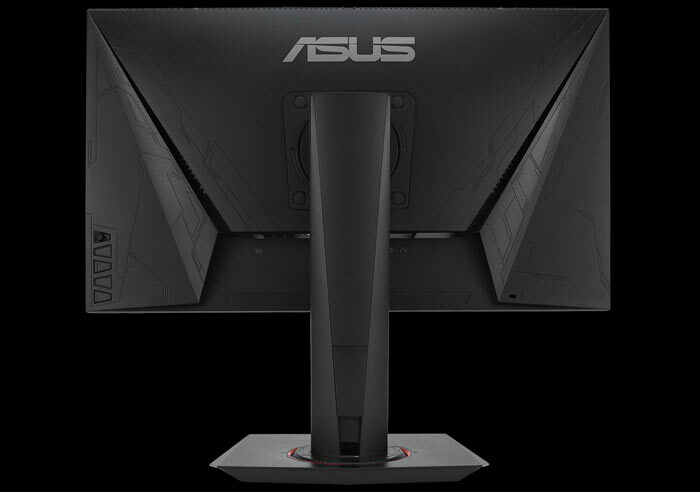 Asus has launched the VG258Q Gaming Monitor. This is a 24.5-inch Full HD gaming monitor that majors on speed. It boasts a 1ms grey-to-grey response time, plus a fast maximum refresh rate of 144Hz. Other welcome gamer-centric additions to the spec include Adaptive Sync technology (FreeSync), Asus Extreme Low Motion Blur (ELMB) Technology to further reduce ghosting and motion blur, Asus GamePlus, Asus GameFast Input, and Asus GameVisual. 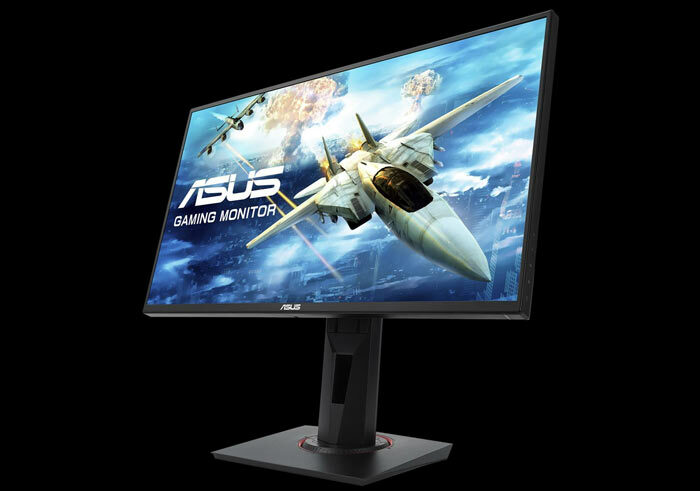 The Asus VG258Q Gaming Monitor employs a non-glare TN display panel with decent 170°(H)/160°(V) viewing angles. On screen imagery can be displayed in 16.7 million colours (72 per cent NTSC gamut), with 400cd/m2 max brightness, and 1000:1 contrast ratio. In terms of colour presets and adjustments, users can select from three skin tone modes and four colour temperature settings. A 5-way joystick lets you quickly find and adjust the OSD settings to taste. 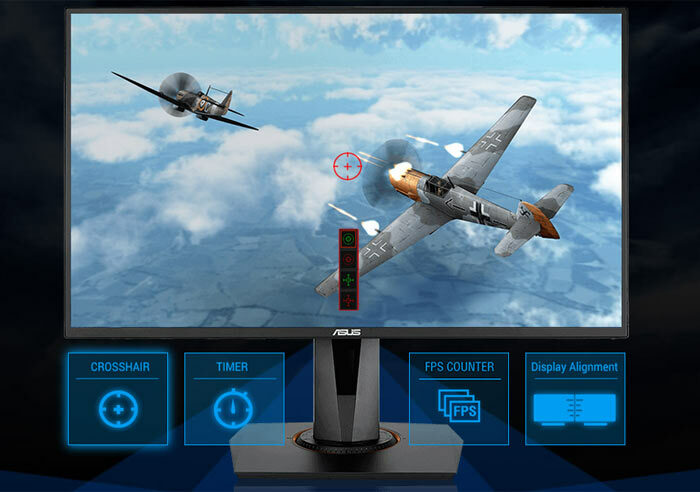 Gamers may be particularly interested in the following settings: Asus GamePlus hotkeys, offering Crosshair/ Timer/ FPS Counter/ Display Alignment, and Asus GameVisual settings with Scenery/ Racing/Cinema/ RTS/ RPG/ FPS/ sRGB Modes/ MOBA Mode. Low blue light and flicker free technology is present for your long term comfort too. Checking through the tech specs the monitor refresh rate of the VG258Q seems quite flexible, ranging from 40 to 144Hz via DisplayPort (50-144Hz on HDMI). With a compatible GPU from AMD you will be able to take advantage of FreeSync, to eliminate screen tearing and stutter. Asus sings the praises of the 144Hz refresh for fast smooth graphics. The quality of fast moving visuals is further enhanced by 1ms response time with Asus Extreme Low Motion Blur for greater clarity and fluidity. Another strength of the Asus VG258Q is its GameFast Input Technology to minimize input lag. "Milliseconds count," in fast paced games asserts Asus, and this feature facilitates fast user response, and precise timing. Back to more standard monitor features now, and the VG258Q features HDMI v1.4, DisplayPort 1.2, Dual-link DVI-D connectors, 2W x 2 Stereo RMS speakers, a 3.5mm Mini-Jack audio out, a VESA stand with Tilt : +33°~-5°, Swivel : +90°~-90°, and Pivot : +90°~-90°. There is a smart cable management design feature in the provided stand. Last but not least the monitor design boasts narrow (1cm) bezels. At the time of writing I don't have pricing or availability details for the Asus VG258Q. Any confirmation on whether it's FreeSync 1 or 2?